Maintaining your own self-worth, after you’ve spent so much time building it up within yourself, is one of the smartest and healthiest things you can do for yourself. 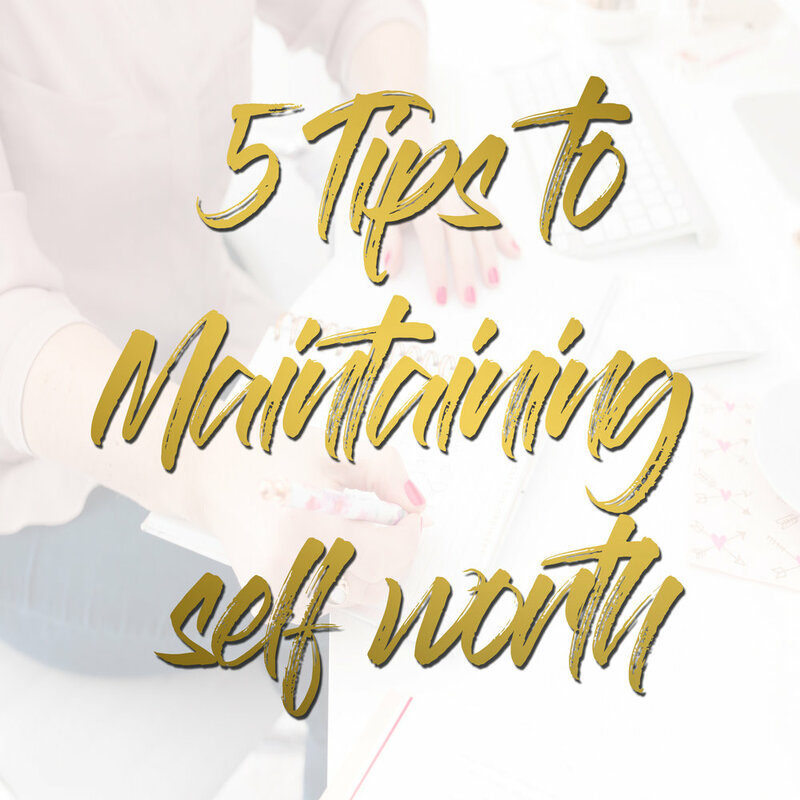 There are tons of little ways that we can increase and then maintain our self-worth, and by doing them over and over again each day, you’ll be setting up new and healthy positive habits. Here are five simple yet effective tips to maintaining your self-worth. 1. Appreciate everything. Even during the worst of times, it’s very likely that you have a lot to be thankful for. Appreciate those things you have – a warm home, loving family, caring friends, and steady employment. If you have food on your shelves, and most of your bills are paid, you have a right to celebrate, enjoy, and be grateful.Practice thinking about what you appreciate several times a day. It’s a game-changer when it comes to self-worth! 2. Say “NO!” to negativity. Make it a goal to remove negativity from your life. Your own negative self-talk, and inner critic? Tell them to be quiet – NOW! Try to stop being judgmental of others. Remove toxic people from your life. Doing all you can to remove the negative, and bring in more positive will work wonders on your self-worth, and it’ll happen in an organic, natural way. Realize that a lot of the things we think are real are simply the stories we’ve told ourselves for years, so we automatically think they’re real and true. A closer examination may prove that those stories are completely false, and a reality check is in order. 3. Be confident of your identity. As easy as it is to compare yourself, and your own life, to others, it really doesn’t matter at all what someone else has. What truly matters is that you have what you want, what you value, and that you continue to strive to attain those things and experiences you value. Knowing exactly who you are and being confident in that identity is going to help you stand up and have your own voice when people tell you what they think you should do, or what they believe your goals should be. 4. Do your best at everything, every time. No one, including you, can ever ask you to do more than your very best. And doing your best and trying your hardest will always result in the feeling that you’ve accomplished something. This will, in turn, feed your strong sense of self-worth. 5. Create relationships with positive people. Do not continually allow negative people into your inner circle. Aim to create new relationships with positive people so that you’re surrounded by people who will understand you and support you at every level.